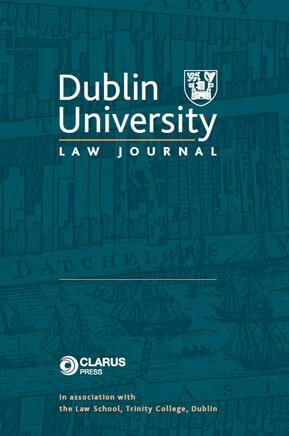 The Dublin University Law Journal will now publish twice annually. design is unduly shaped by the ‘chilling effects’ of litigation rather than other variables. which shape the creation, operation and effectiveness of parliamentary review. In 1916, republican nationalists sought to cleave the United Kingdom in two. how the ideas of 1916 percolated through the Commonwealth constitutional structure. of autonomy, while maintaining the territorial integrity of the British Empire. of Nations (1920) in influencing this process.